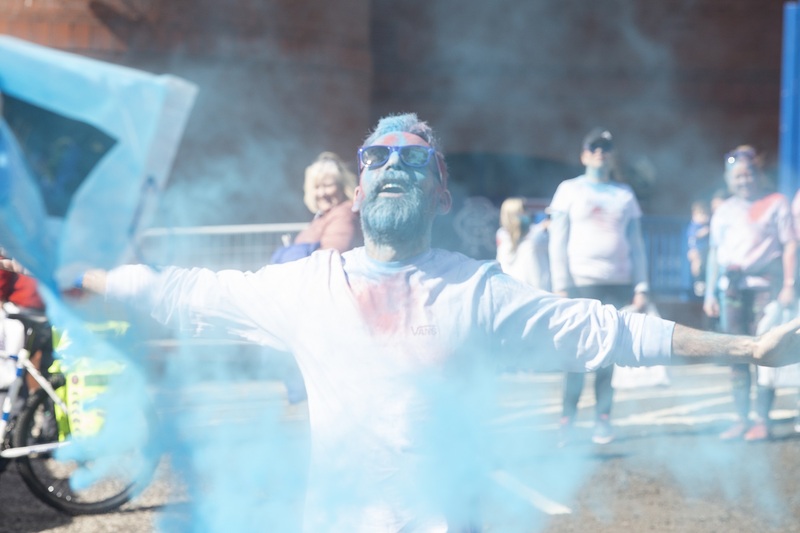 Over 325 runners took part in our Blue All Over Fun Run last Saturday (31 March), helping to raise an initial total of more than £27,000 and counting! 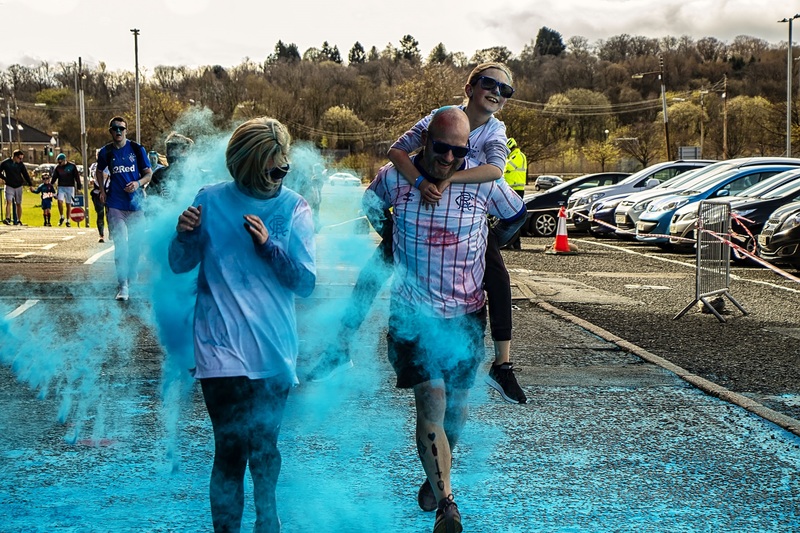 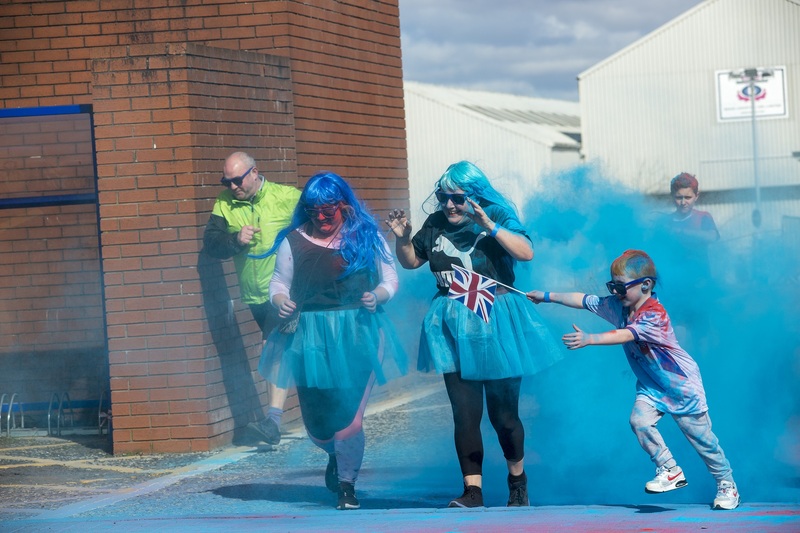 Families, friends and individuals took to the route around Rangers’ pitch and stadium, whilst being covered in blue and red paint. 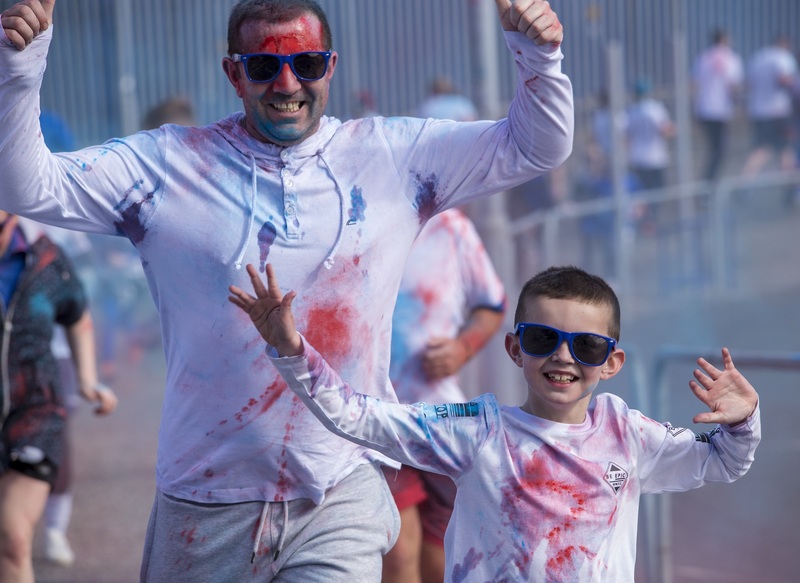 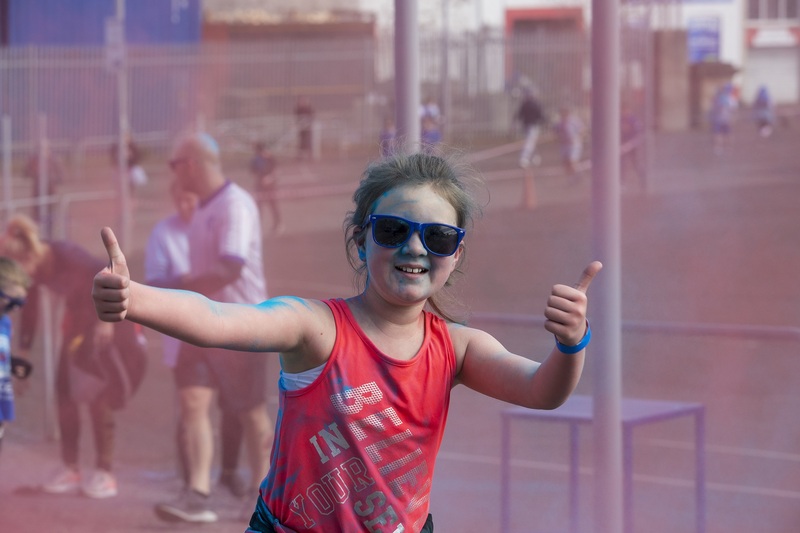 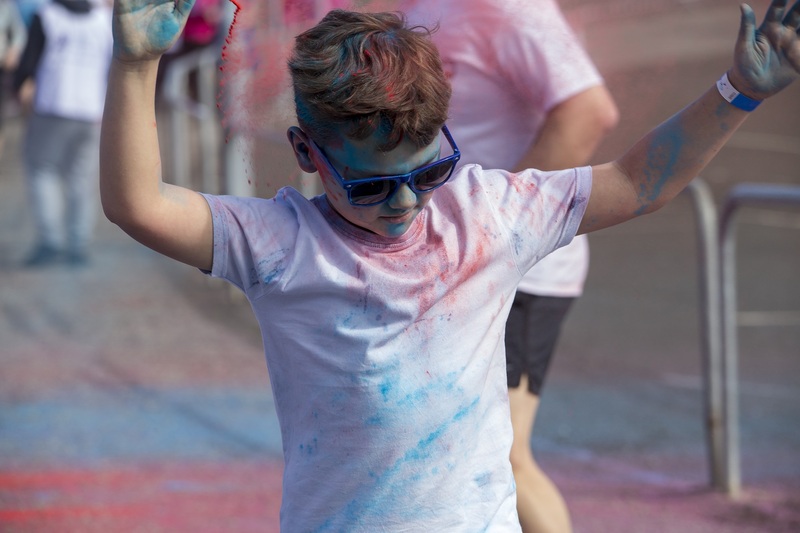 Runners of all ages and abilities were able to make one lap around the famous pitch, before enjoying five loops of the stadium whilst passing paint stations teamed with volunteers and crossing the finish line in the Fan Zone. 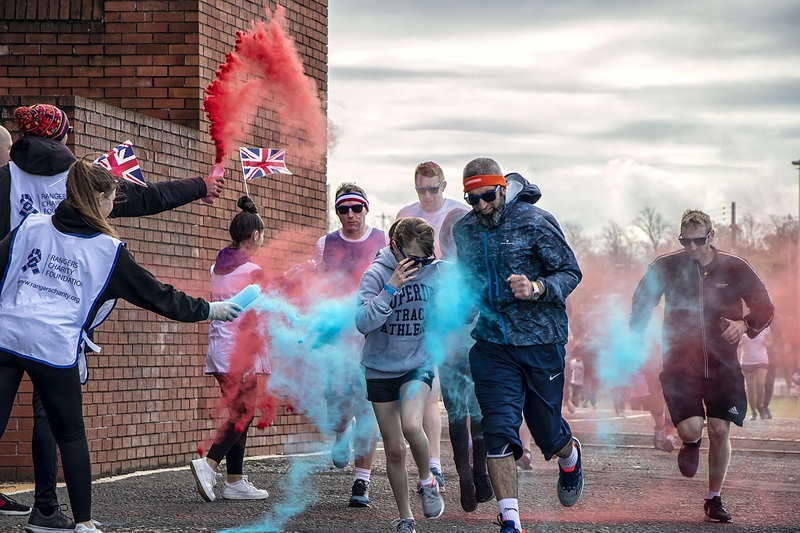 Participants, who each paid £10 to take part and underwent their own fundraising, were then rewarded with excusive medals, certificates and goodie-bags. 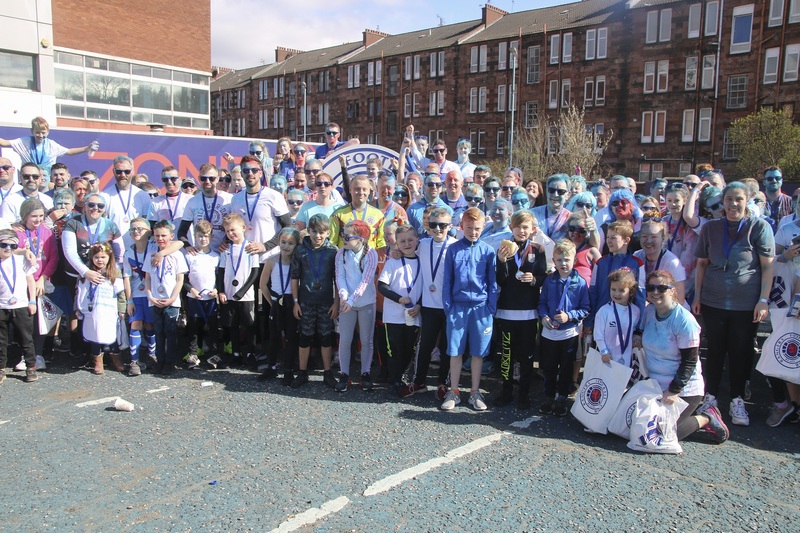 Rangers Charity Foundation Director, Connal Cochrane, said: “What an incredible day! 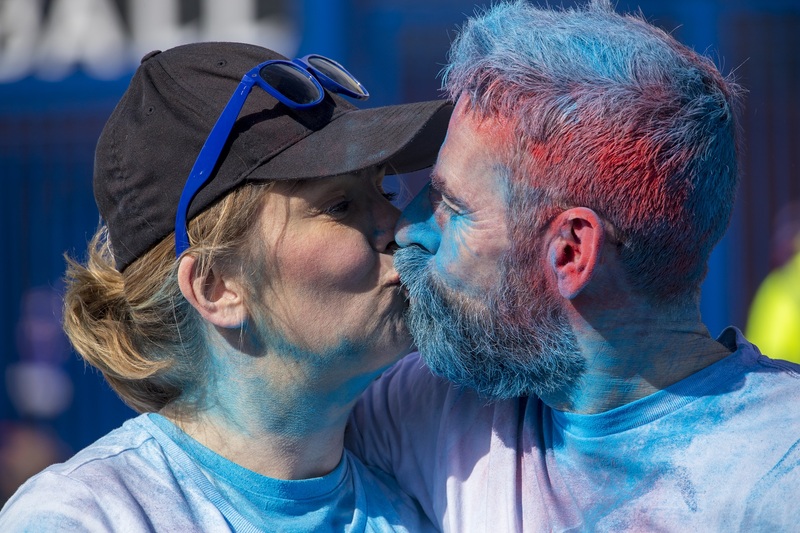 We would like to thank everyone who joined us for what is rapidly becoming one of our most popular events. 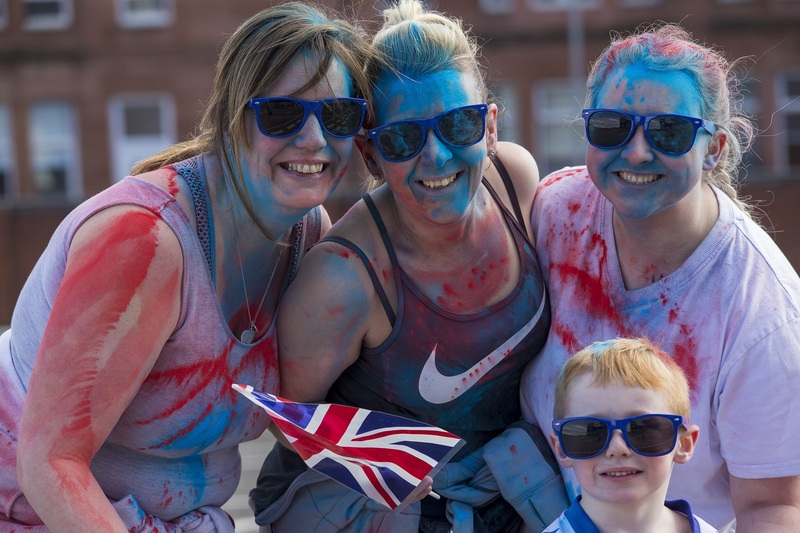 “From the runners, to the volunteer and supporters; it’s been great to see us all make Ibrox bluer than ever, whilst helping to make a difference to people across Scotland and the globe. 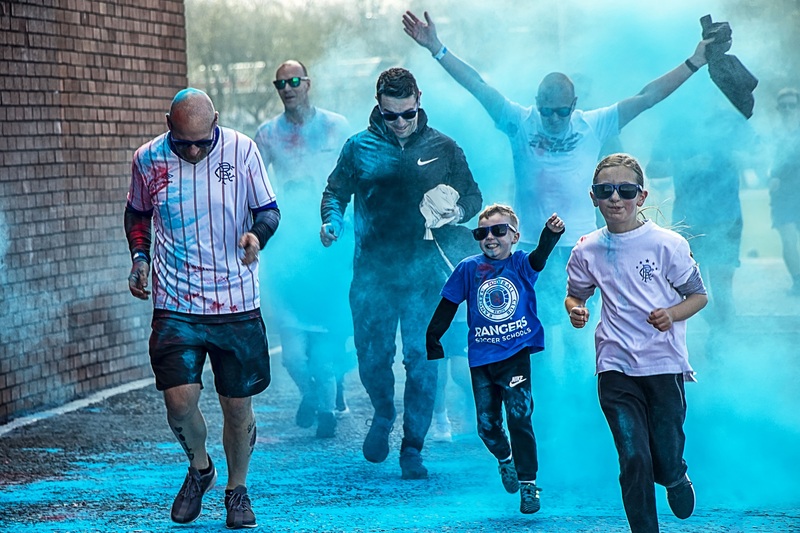 All runners who raise £100 or more become True Blue Heroes and will be celebrated by meeting a Rangers First Team player, who will present them with an exclusive medal. 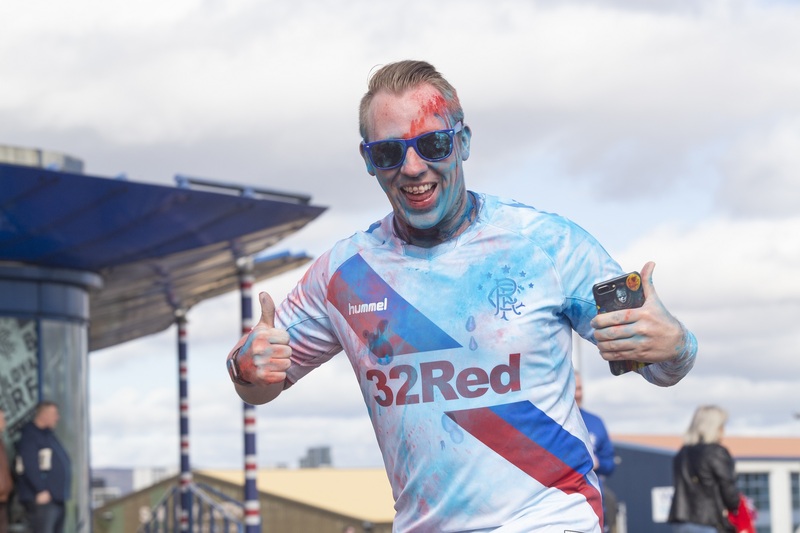 For more information about the Rangers Charity Foundation, visit: www.rangerscharity.org.uk.